Today’s consumers stand behind businesses that share their values. With environmental accountability rapidly becoming a mainstream demand, these companies prove that ethical practices can also make business sense. When Craig Sams and his brother set up Europe's first macrobiotic restaurant, the native Nebraskans were operating well outside the mainstream of 1960s London. "Seed" may have been a hit with the likes of John Lennon and the Rolling Stones, who flocked to the two-room venue in Notting Hill with its cushions on the floor and basic dish of rice and vegetables, but it was definitely an unusual enterprise. Planting a seed: Craig Sams grew experience as a restaurateur into organic businesses including chocolate maker Green & Black's. "We have moved beyond the trade- off between sustainability and profitability." The name, however, was prophetic. Out of Seed grew a wholesale and retail organic food business, Whole Earth Foods. This was followed by Green & Black's, a pioneering organic chocolate business set up by Sams and his wife, Jo Fairley. Sams remains involved as president and adviser to Green & Black's, which now has around ￡150 million ($185 million) in sales and is part of Mondelēz, the global confectionary giant. He and Fairley receive visiting Mondelēz executives to their home on the English south coast, where they relay their vision of how a business can be run along ethical and environmentally aware lines. 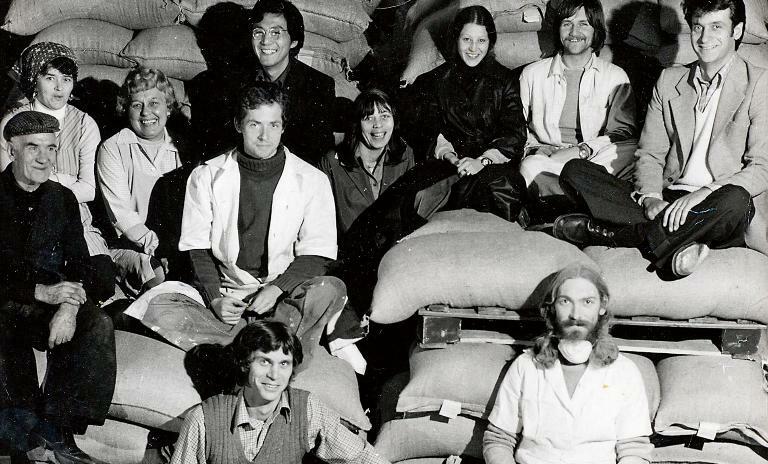 The story of Sams' businesses – Whole Earth Foods is now part of organics multinational Wessanen – is symptomatic of a broader shift that has seen ethical or sustainable business move from the fringes to the mainstream. 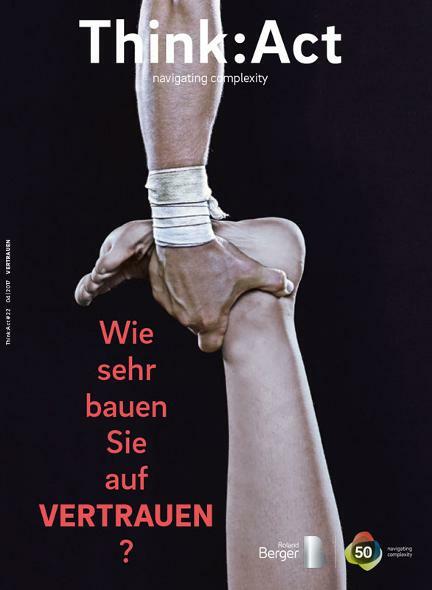 From blue chip behemoths to artisanal market traders, companies now almost fall over each other to brandish their ethical credentials, now aware that their customers demand nothing less. As Paul Polman, chief executive officer at consumer goods giant Unilever, memorably said in an interview with "The Guardian", the importance of this to the viability of business may prove critical: "Some companies that miss the standards of acceptable behavior to consumers will be selected out." Polman has been one of the prominent champions for changing the way companies do business. No one doubts his commitment to taking a stance on issues such as the environment. He is as likely to kick off shareholder meetings with data on global warming as on group sales and operating margins. Unilever is by no means alone. Scores of companies now subscribe to the principle of doing ethical business. The question is how much of this is lip service and how much is actually part of the ethos of a company and demands significant commitment and energy. While a commitment to an ethical approach might win you the support of your customers, one nagging question remains: Is it possible to make real money doing so? Niche businesses targeting affluent, high-minded customers can command higher prices or sacrifice a bit of margin; companies in more cut-throat mass market sectors do not have that luxury – or so, at least, runs the received wisdom. The world’s first modular smartphone designed to be easily repaired, Fairphone’s business concept is built around product longevity, recyclable components, fair work conditions and ethically sourced materials – including precious metals. The company announced the realease of the Fairphone 2 in 2017. Ioannis Ioannou, associate professor of strategy and entrepreneurship at London Business School, believes such thinking is well past its sell-by date. Consumers can punish those who don't subscribe to their world view, making it potentially costly to ignore changing attitudes. "We have moved beyond the trade-off between sustainability and profitability," he says. Research he has done with George Serafeim at Harvard Business School and Robert G. Eccles at Said Business School found that companies judged high-sustainability businesses "dramatically outperform" their low-sustainability peers in terms of stock market and accounting measures of financial performance. Ioannou's research has found that firms with a high commitment to their sustainability purpose have different organizational DNA, a longer-term horizon in their external communications and are more attractive to long-term investors. He identifies four key principles that make for successful ethical business: strong governance, which ensures that the guiding principles are spread across the business; "purposeful stakeholder engagement" to ensure support from all those involved; credible transparency; and longterm decision-making. Some companies have been putting ethics front and center of their business model for some time. Even to the extent that they are built in to how the business operates. 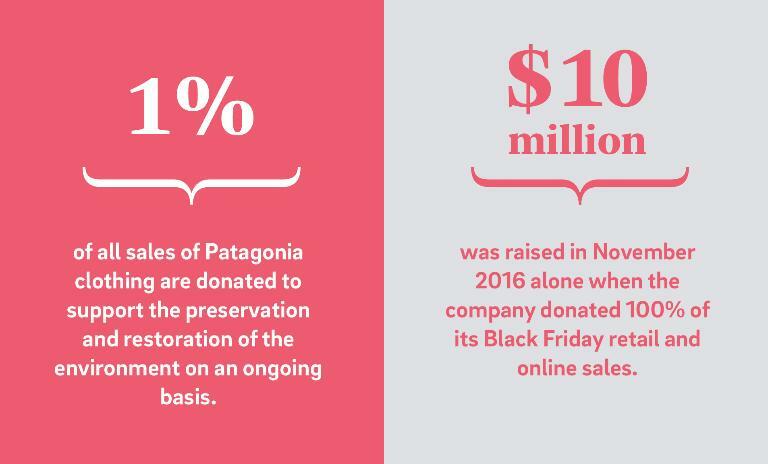 At Patagonia, a commitment to a core set of beliefs aimed at " using business to inspire solutions to the environmental crisis" has been part of the corporate culture since the outdoor clothing company was founded in 1973. It researches the environmental impact of its production and has developed ways of working with recycled materials – for example turning plastic bottles into fleece – and recycling the garments themselves. Founded in 1973 by Yvon Chouinard (pictured), Patagonia has built an outdoor clothing empire based around ethical practices including recycled materials and fair treatment of workers. The company's "Buy Less, Buy Used" campaign had the opposite effect: It increased sales. Patagonia also subscribes to fair trade practices regarding work conditions. It offers paid internships and donates 1% of sales to grassroots activist projects. It runs programs to support environmental initiatives, shares its marketing platforms with advocacy groups and helps to finance projects, such as an initiative to save a Chilean fishing community's land from development. This fosters a sense of community that supports the business. For Bas van Abel, consumer attitudes have been a central part of his business, Fairphone, from the start. The maker and retailer of smartphones began out of the belief that it should be possible to make such a ubiquitous product in a way that did not involve the exploitation often associated with sourcing many of its components. "People said I was crazy," recalls the Dutchman, who originally trained asan artist and engineer. The market was dominated by big powerful players. His hunch was that consumers would respond to an alternative – and be prepared to pay for it, literally. After two rounds of crowdfunding, he has raised €21.5 million ($23 million) from future customers. "It was scary," he remembers. "In three weeks we had raised millions and did not know how to make a phone. I was crying in bed telling my wife that I wanted out. She told me it was too late and encouraged me to continue." He did and the company has since sold 125,000 phones – tiny in terms of the overall industry, but impressive for a startup. The issue now is that while he feels they have realized some of their original goal of changing attitudes, Fairphone has reached a point where it needs help, partners who can bring operational experience and finance to be able to scale up the business. A commitment to sustainability is also increasingly important in attracting talent. "Millennials don't want to work for companies that don't share their values," says van Abel. The maker of the first chocolate bar to get Fairtrade International's mark, Green & Black's has remained committed to ethical sourcing since it was founded in 1991. Co-founder Craig Sams (pictured) is also behind the organic company Whole Earth Foods. Sven-Oliver Pink, one of the founders of Fond of Bags, a Cologne-based company that makes and sells fashionable backpacks and bags made out of recycled plastic bottles, agrees. Getting the right staff has been critical to the growth of the five-year-old business. The company – which took on 100 new people over the last year – will not employ anyone who does not share the core beliefs underpinning the business, Pink says. The result is a committed workforce – and in a "war for talent" environment, that is a positive contributor to the health of the business. Green & Black's says that only by building up long-term relationships with cocoa farmers could it guarantee the quality of the base product and the consistency of supply. But as Sams says, it is important not to overpromise: "You need to make sure that you have got it right before you shout too much." Allowing the marketing department to rush out messages of how ethical the business is before the operational side is sorted invites disaster, and accusations of "greenwashing." On a more positive note, growing commercial scale can be used to improve practices in the supply chain. "We are now acquiring an importance among our suppliers," says Pink. "And that gives us the possibility to have influence." That is critical to his mission in more ways than one. When the business started, the founders each put in €60,000 ($64,000), with Pink borrowing his share. The associated risk made him very "egotistical" in his approach he says, ensuring that they took care to choose good suppliers who conformed to the ethical outlook of the business. Failure to do so could have presented a business risk – and left him sitting on debts. Sustainability, after all, applied as much to the economics of the business as the environmental qualities of the products it made and sold.